It may also be prescribed to “fill the gap” between two otherwise healthy teeth. Result of dental veneers can be drastic and patients are often very happy with the cosmetic changes of their smile following placement of veneers. 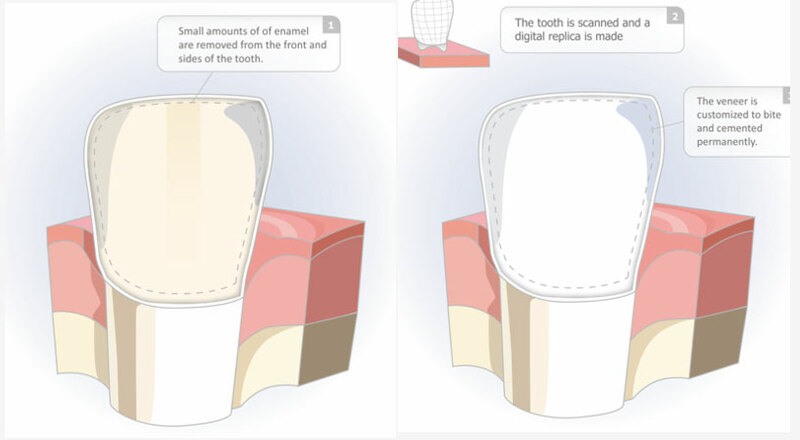 Considering dental veneers? Schedule a consultation! “BEST DECISION EVER! I was looking for a new dentist after moving to San Diego and I decided to book an appointment at Friendly Family Dental. 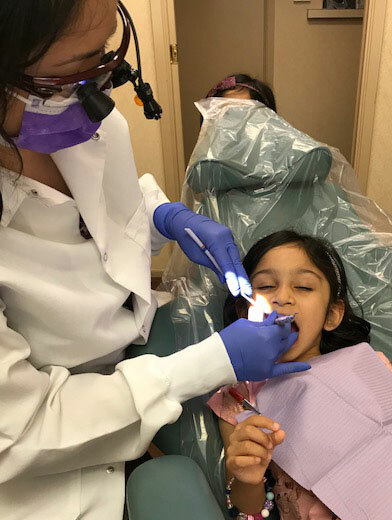 Dr. Henna and her assistant Jojo are simply AMAZING!! They are so gentle and know how to make every visit a pleasant experience! Dr. Henna also offers a membership plan that gives you great discounts on different treatments, which is awesome when you don’t have insurance. If your looking for a new dentist, booking an appointment at FFD is the best decision you could make! My husband and I will be back every 6 months for sure!” - Julie-Soleil D.